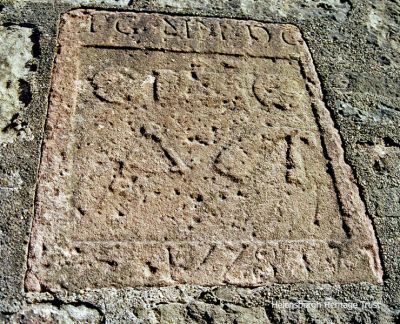 This worn carved stone in the wall at the foot of Maitland Street dates from 1778 and denotes the productive local trade of herring fishing in the early 19th century. The cured fish were stored in barrels made in the cooperage there. Photo by Kenneth Crawford.